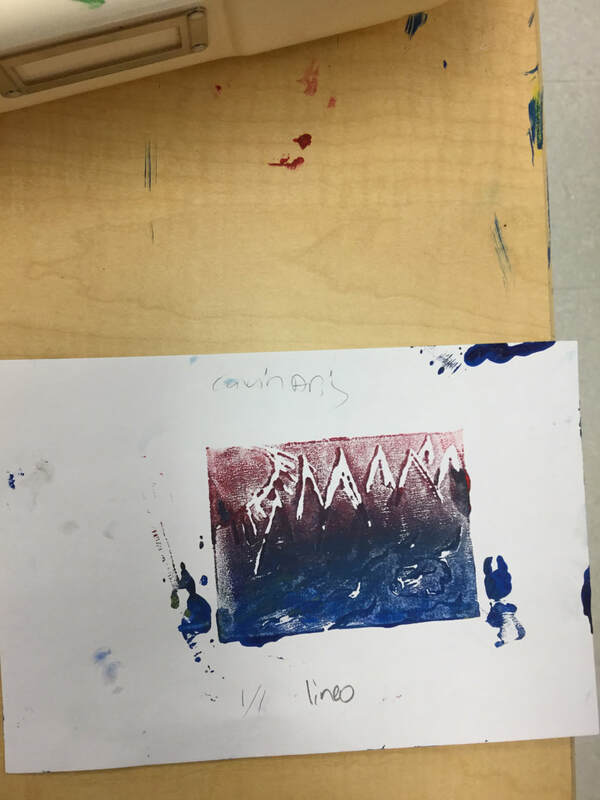 My most successful art was the relief printing. I really like the colors that I used for this art. The blue and red popped out really well. This was the most successful because it just looked the best to me. The printing I would change would have been the soft-kut. 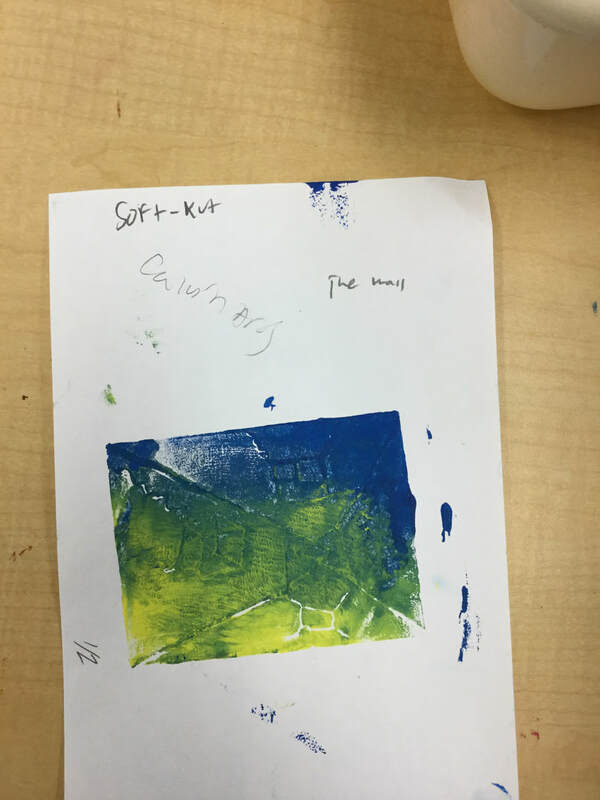 My printing was lines connecting and I used blue and yellow for this art. I didn't like how I used so much color. What I could have done better next time would be changing how much color I used. The printing technique that I liked the most was screen printing. It was fun because I get to cut out a shape and put it on a screen to add color. I decided to use red and blue to make a violet color a little. 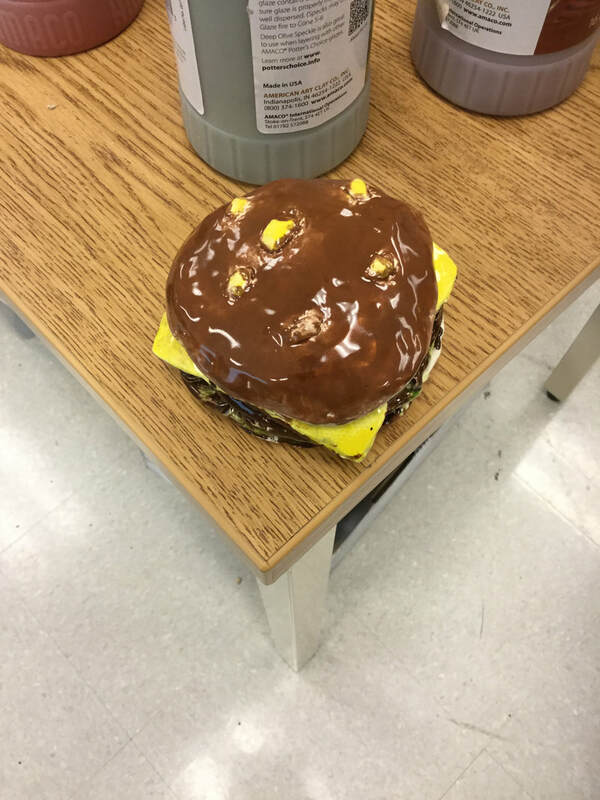 My artwork is a burger that I made out of clay. I named it the meat because its a burger and I felt like it fit the artwork. 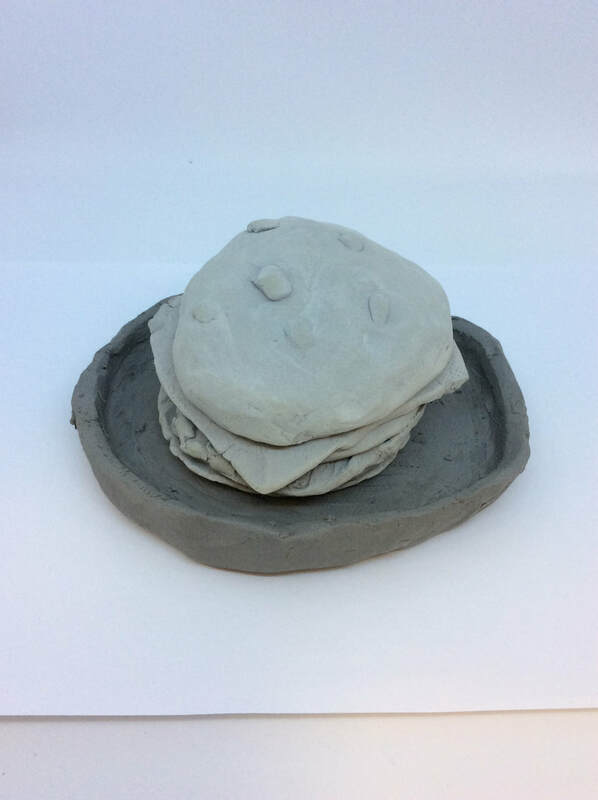 In the beginning of the art I started off with a block of clay and shaped it to a shape of a bun. I also made a sketch before all of this. I made two buns out of clay. After that I started to make the meat. I made 2 meats. In the middle of this process I made the cheese and lettuce and used a fork to make it smooth. 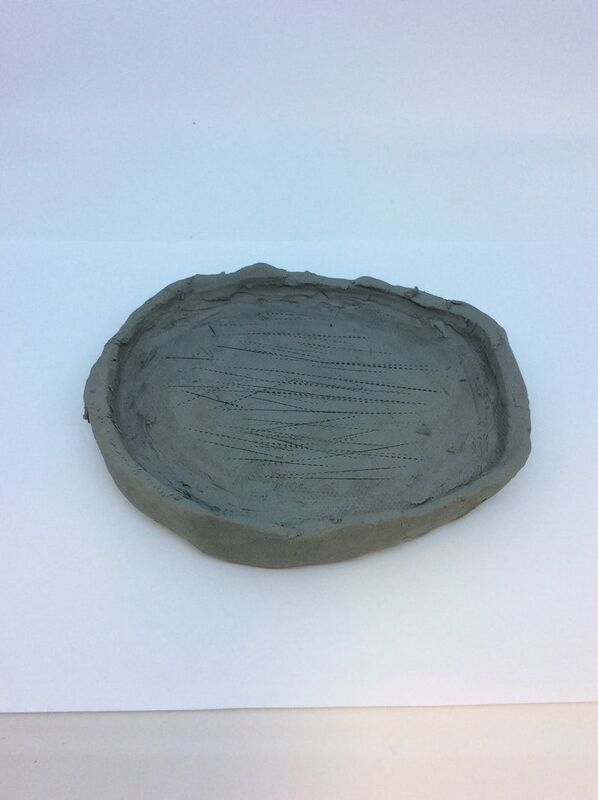 Sometimes when I saw holes on the clay I would solve this problem by rubbing my hands on it to cover it up. 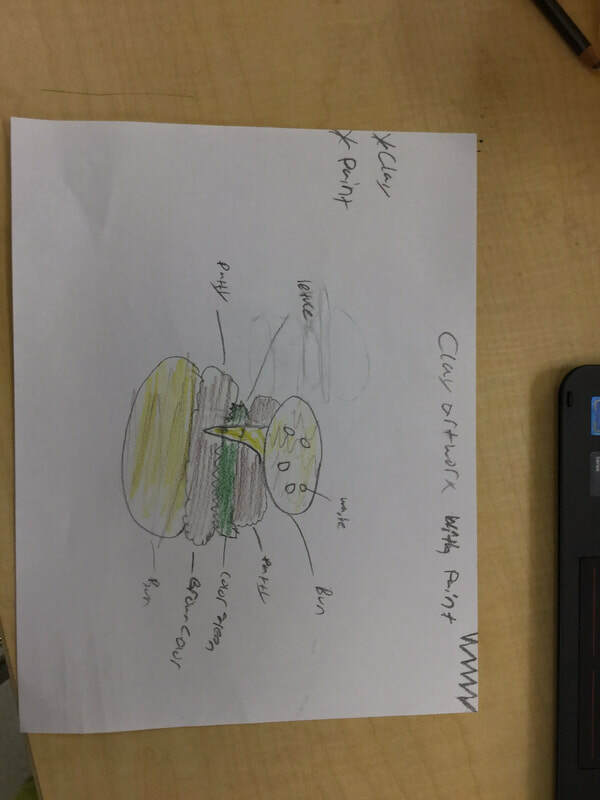 For the ending I made a plate and added everything together to make the burger. I had this idea when I was watching this show and I thought it would be fun to try this. I learned how to have fun with clay in this project. What my art looks like is a wheel with fire on it. I used the leaves to represent the fire. 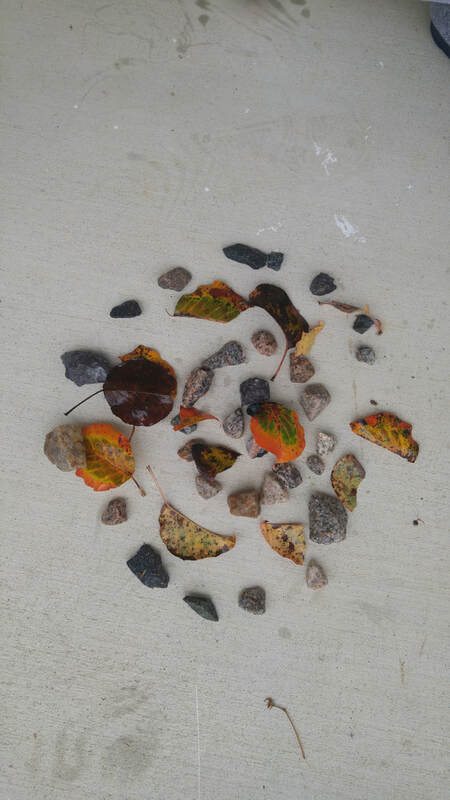 How I created my art was I went outside and look for leaves that colorful and bright and put the rocks in a circle. Who inspired my art was the magazine I was reading in class the other day. 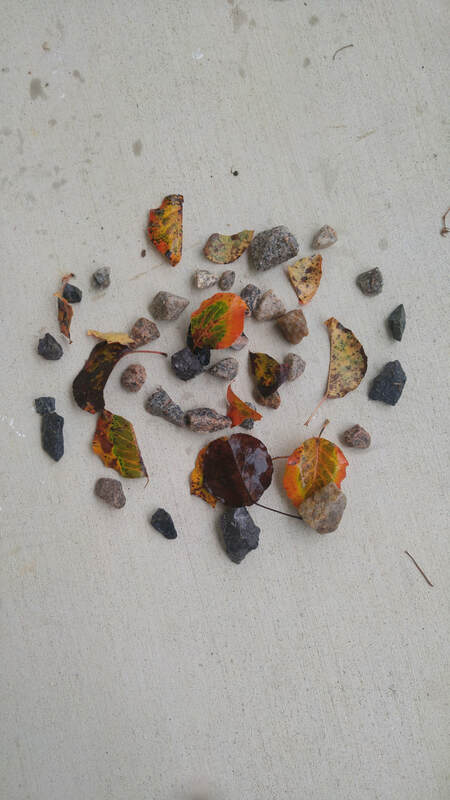 I saw a picture with land and water and I decided to make it with leaves and rocks. This work kinda shows joy and excitement. My goals was to see what I can do with nature and turn it into art. What I learned was that nature can be art. This piece influence my future artworks because maybe I'll do this in future for a artwork. My work for this project is called Kings Crown. It looks like a king with a crown on top. 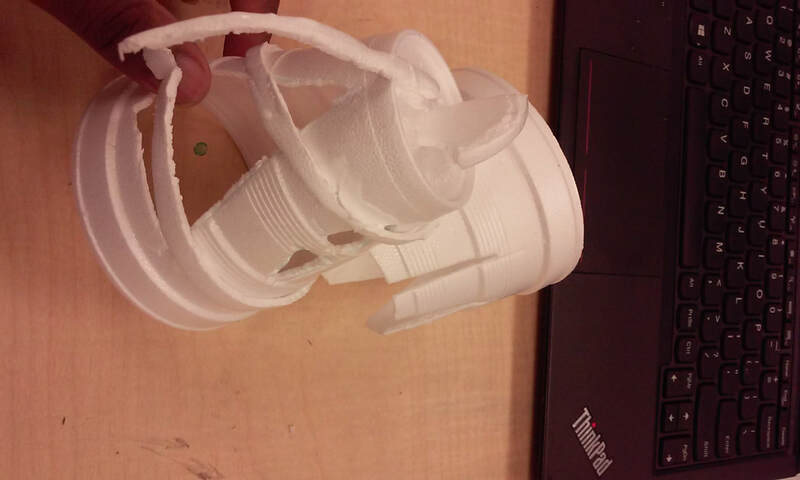 I made this project out of cups. I cut it to make different shapes. I also used glue to stick the parts together. I had to outline the shape first then I cut it. What inspired my artwork was my imagination. My goals as an artist is to be creative in my artwork and do something different. It kinda did help me reach this goal because this was actually harder than it seems. What I learned was that I can turn almost anything into art. 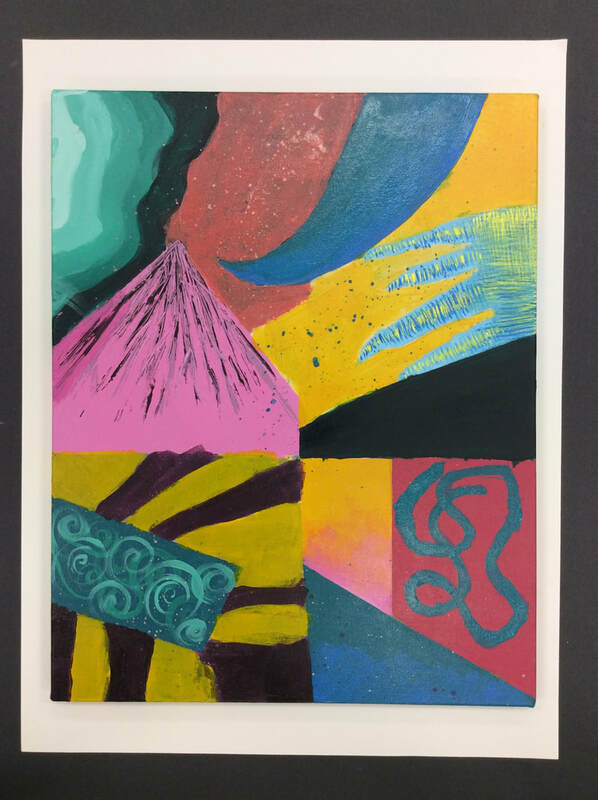 Me and my group made a abstract painting. I named it “Just Why “ because that what the painting kinda looks like. We use tape to make sure the lines were straight and we used acrylic paint for this also. The big idea is to get your eyes flowing everywhere. 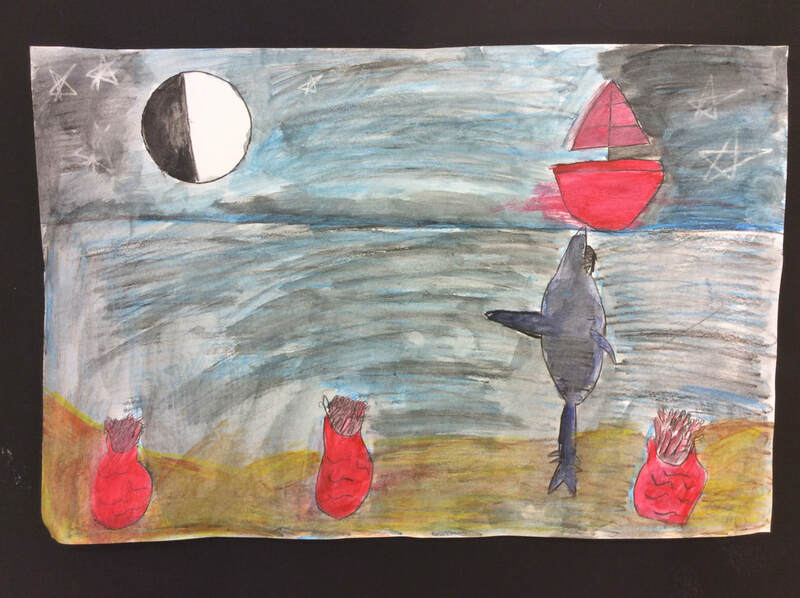 What inspired my art was the ideas of our group members. 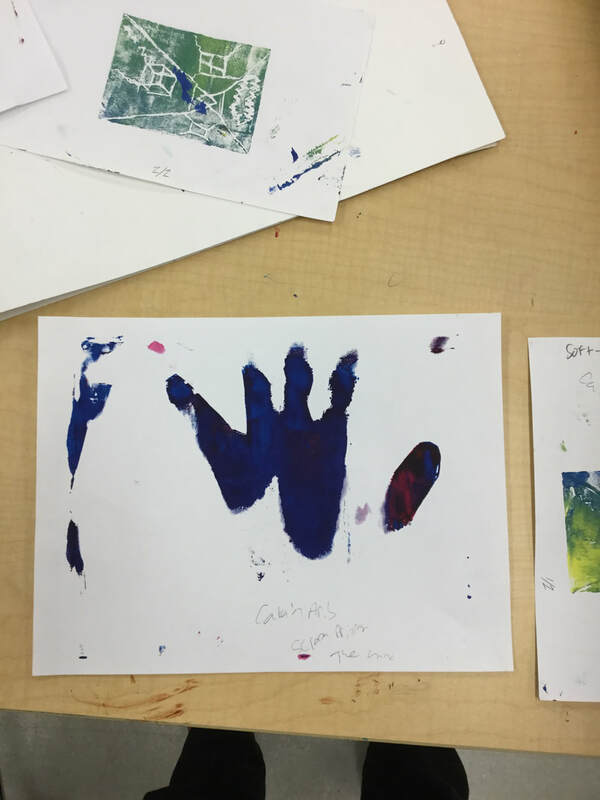 Some of our goals for this project was to create a paint with different colors and to use everyone’s idea. I thought this project was fun to do. We had to be very creative for this artwork. I solved problems by when I made a mistake I would paint over it. I gained some new skills with tape. I learned it can be used for so many different things. Some of the issues I went through the artwork was trying to see if the color and design was going to fit our eyes. What I did was use the Rule of Thirds and put the object in the middle. When I first took the picture it looked boring. (The pen was the first picture,Still life) For my motion picture I was showing a moving car but I didn't use Rule of Thirds. Now i took a picture of a clock and cropped it. The landscape picture I took the first time showed not a lot of details and the second time, I focused on one object of the picture and it makes you want to look around the background. This is my water colored pencil project. I named it Midnight Dawn. I used the dark background because it match it title. I created this work with colored pencils. The techniques of blending colors together. I used the red to make the picture pop out a little bit. This was inspired by my imagination. I was thinking about what happen if a shark came up under a ship.​ My main goals was to become a good blender and see what two colors make a unique color. It help me reach my goal because I'm getting better each time. I think I did a very good job on this but I think I could have done better on the shark drawing. Hello my name is Calvin . I am a sophomore at VMCCA. I have art 2nd period.